Chapter headings and subheadings: Preface. Economic and Political Outlook. Economic performance: overview and outlook. Political outlook. Oil Policy and its Impact. Oil industry reforms. Oil pricing. Oil distribution policy. Oil import policy. Crude Oil Production. Crude production levels, onshore and offshore. Tarim Basin exploration and development. Projected crude production. Refining Industry: Policy and Industry Prospects. Crude distillation and conversion capacity. Overview of refining capacity plans and assessment of actual changes. Refinery yields and output. Oil transportation. Refining policy. Petroleum Product Demand. Oil in total energy consumption. Gasoline. Diesel oil. Fuel oil. Other refined products. Crude direct burn. Total petroleum product demand. Oil Quality and its Environmental Impact. Crude quality. Environmental impact. Supply/Demand Balance: Implications for Trade. Crude oil balance. Petroleum product balance. Can China afford import expenses? Regional oil balance. China's impact on the Asian Market. Impact of crude imports on regional trade flows and crude prices. Impact of product fundamentals on regional supply/demand balances. Impact of product crude spreads. Conclusion. Appendices. Bibliography and References. Index. For governments; oil producing, refining and trading firms and associated service companies; shipping companies; and banks. 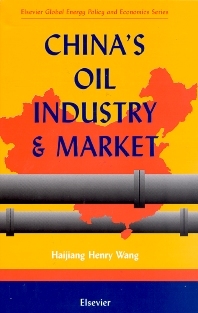 @from:P.Tempest, Director General @qu:This text is both an authoritative and comprehensive work of reference on past developments and also a well-judged assessment of the present political, economic and fiscal climate concerning China's oil policy today. It is the best assessment I have seen ......... @source:World Petroleum Council @from:Haijiang Henry Wang @qu:This authoritative book presents an overall picture of current Chinese politics, energy policy, oil industry regulation, price regulation, important licenses and quotas, the production distribution system, infrastructure and the impact of economic reform on the oil business. Dr Haijiang Henry Wang is Director of the research sciences group at Quality Strategies, Inc. At Quality Strategies, Inc., the author is in charge of survey design, statistical analysis and modeling. Earlier, he was Manager of Pacific Analysis and Senior Analyst at Energy Security Analysis, Inc., where he authored the monthly China Watch report and direct data analysis, and econometric forecasting. The author has also held the position of Division Chief and Deputy Manager of the Second Credit (Energy Credit) Department of the Bank of China and was affiliated with the World Bank. The author holds a B.A. in Economics from the People's University in Beijing, an M.A. in the same discipline from the Chinese Academy of Social Sciences, and M.S. and Ph.D. degrees in Energy Management and Policy from the University of Pennsylvania. The author's publications have appeared in international journals, such as, Energy Policy, Resource Policy, Petroleum Economist, Oil & Gas Journal, Pacific & Asian Journal of Energy, The Journal of Energy and Development, Energy, and Energy Exploration & Exploitation.